With the 31st January 2019 deadline looming, tax preparation specialist David Redfern, Managing Director of DSR Tax Claims Ltd, has issued his top tips to ensure that your Self Assessment tax return is as painless as possible. Although taxpayers who are subject to Self Assessment can submit their tax returns as early as 6th April following the end of the tax year, many of the 11 million taxpayers who must send a Self Assessment tax return leave it until the last moment, risking fines and penalties for late filing and payment. 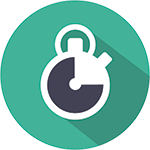 Redfern’s top tips aim to prevent the misery of HMRC penalties by ensuring that your Self Assessment tax return is submitted accurately and on time. Redfern’s first top tip is to stay calm. With a month to go until the deadline, there is no need to panic but it is imperative to take action now rather than leave it until the deadline. Redfern states “It can be tempting to bury one’s head in the sand but is wiser to take action now. By leaving it right until the deadline, you run the risk of being hampered by circumstances outside of your control such as technological issues or banking system problems – all these have the potential to delay your tax return submission or paying your tax bill and HMRC may still issue a late filing penalty even if you feel the delay wasn’t your fault”. 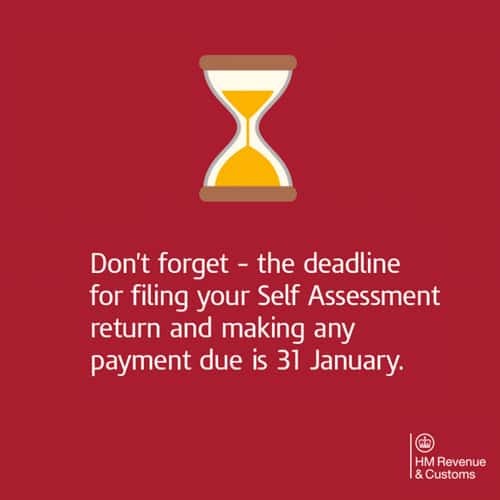 Tip number two is to recheck before submitting your Self Assessment tax return. According to Redfern “always recheck your tax return before you submit, even simple details like your National Insurance number or your UTR. Little mistakes can cause problems further down the line so it is a good idea to spend a bit of time calmly rechecking your tax return before you submit, just to make sure you haven’t missed a zero from a figure or mistyped your date of birth. Although you can rectify mistakes in your Self Assessment after submission, they are much easier to correct prior to submission”. Mistakes can be rectified online within a year of submission (for tax year 2017/18, online tax returns can be corrected until 31st January 2020) but changes to your Self Assessment tax return could also impact on the amount of tax you owe. Redfern’s third top tip is to make sure that you do submit your tax return. Redfern states “it can be such an easy mistake to make and yet I have seen it so many times – you fill in your tax return and save it but forget the crucial step of actually submitting it. Until you have submitted it, HMRC won’t receive it and will therefore assume you to have missed the deadline, even if you have filled every single page of your tax return. Make sure that you submit online and check that you receive an acknowledgement from HMRC that they have received your tax return”. Once submitted, it is good practice to set up your payment method for your tax bill and payments on account so prevent receiving a late payment penalty from HMRC. After submission, your tax bill should be available to view within 3 days. Finally, Redfern suggests a new year resolution for Self Assessment taxpayers to ensure that next year’s tax return goes smoothly, stating that “well-kept financial and business records can take much of the sting out of tax returns – if your financial information is well-organised and easy to find, it makes the whole process of sorting out your taxes much easier and will help next year’s Self Assessment process be far less painful”.